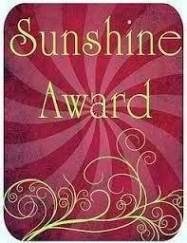 Many thanks to Musings of a Soul Eclectic for nominating me for this award. 1. I live in a valley. 2. I live in Western Colorado. 3. I was married in Hawaii. 4. I’ve been married over 30 years. 9. I belong to a poetry group. List 11 facts about You. Nominate 10 other blogs to receive this award. Announce the nominations to the nominees.